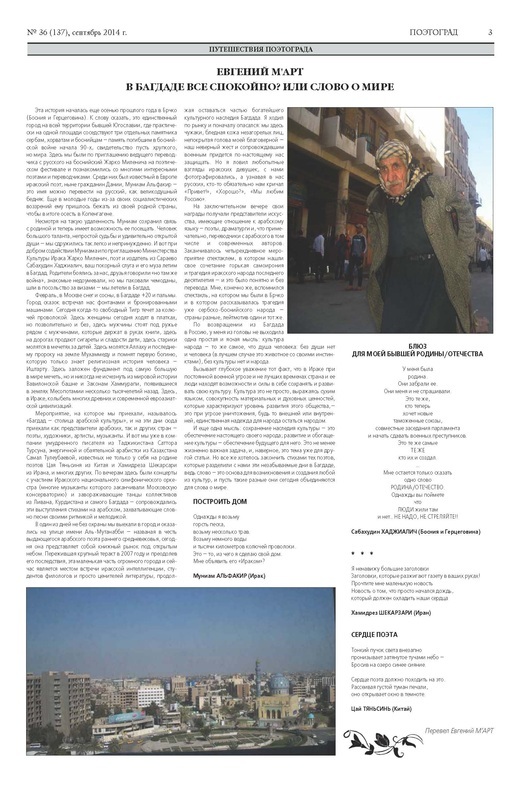 No 36 (137) of the newspaper "Poetograd" (in translation "City of poets"); Article from poet Evgeniy M'art from Petrozavodsk, Russia about Baghdad, Iraq and, among others, poem of Sabahudin Hadžialić "BLUES ZA MOJU BIVŠU DOMOVINU/OTADŽBINU" with photo made by S.H. 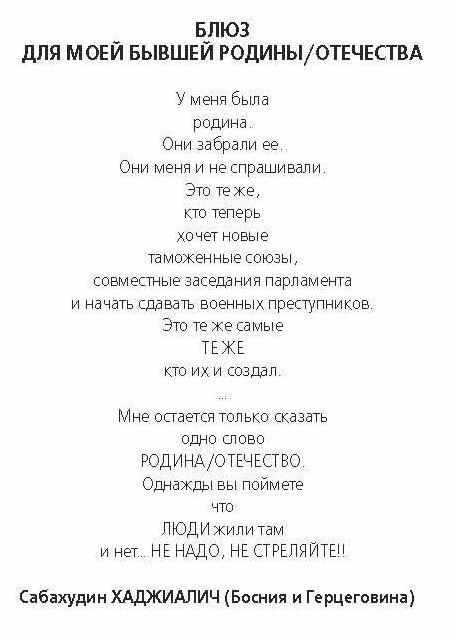 : "Old man" . 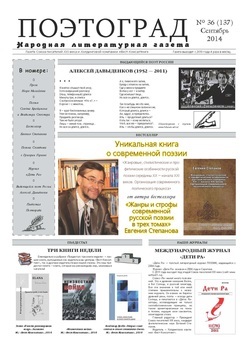 Words from Evgeniy M'art: "The newspaper "Poetograd" is the unique in Russia weekly newspaper devoted only to poetry where famous poets of the present are constantly printed."